As part of the Funko Shop’s 12 Days of Christmas, Funko has released this festive Christmas Stitch Dorbz vinyl figure. This adorable Disney Dorbz is all dressed up in a Santa outfit and is ready to spread some holiday cheer to Funko fans across the globe! 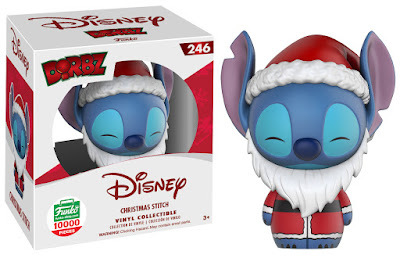 The Christmas Stitch Dorbz 3” vinyl figure is a Funko-Shop.com exclusive and is a limited edition of 10,000 pieces. Pick one up today for just $9.99.